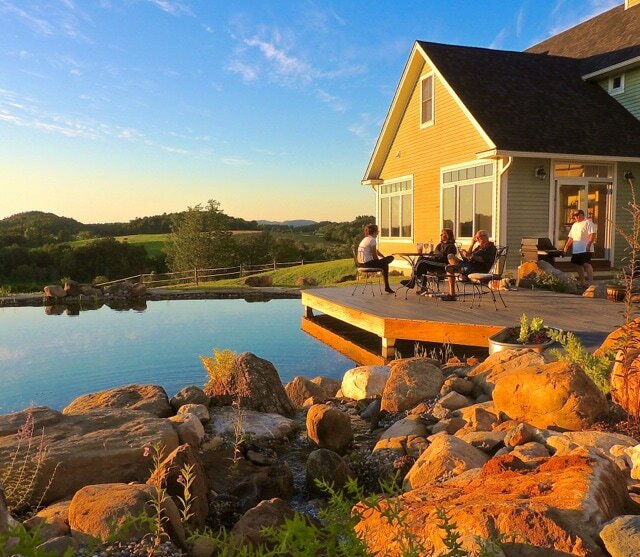 FAQ: Where Should You Put a Natural Swimming Pool In Your Yard? 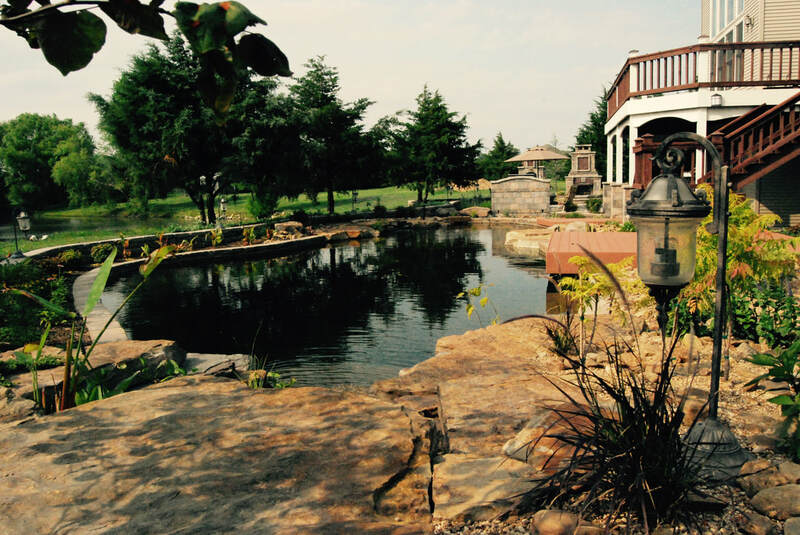 Though our eBook goes into much greater detail in regards to the design and placement of your pool or pond, a good rule of thumb is the closer to the house the better; that way, the water feature becomes an extension of the house and a focal point in the yard. It is not ideal to place a NSP in a low spot or at the bottom of a hill-- you don't want all of your site drainage to runoff into your beautiful NSP! Keep in mind also that most heavy equipment (excavator & skid-steer/loader) needed for building your NSP, requires at least 8FT-10FT of clearance around the outside of the NSP. With that said, we've developed a number of techniques over the years that allow us to get our NSP's into some pretty tight spaces, including right up next to a deck or patio. Questions about heavy machinery access and Natural Swimming Pool/Pond placement can be answered by a Total Habitat designer at an onsite design consultation (or Site Visit), which is now included in our flat rate Custom Design service! 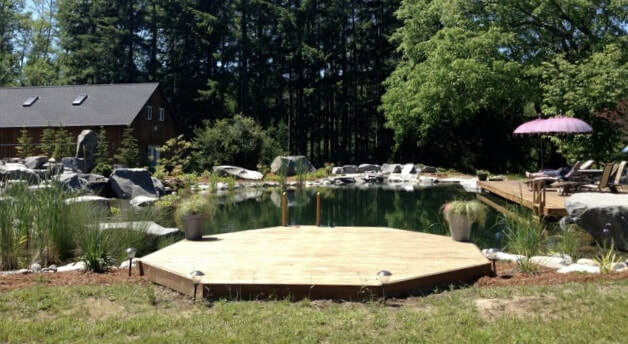 When thinking about where to put your Natural Swimming Pool/Pond, consider how you will get to and from the pool from your house; do you need a stepping stone path, patio or wooden deck? Consider also your view of the pool from your kitchen or living room windows! A Total Habitat designer can help you envision the possibilities for your space with a Site Visit.